Props for Caveman, Gang Starr, BDK and Main Source! More of that please!!!! Gimme the loot! 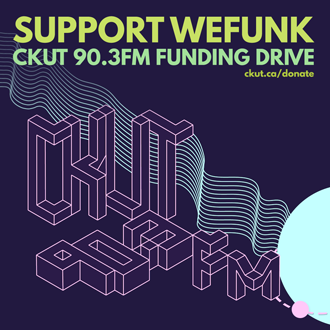 Our last Funding Drive show for 2017 comes fully loaded with Raashan Ahmad's exuberant "Juju", silky smooth neo-soul from Dwele and Omar, groove-heavy tributes from Sly5thAve and Mr. Talkbox, and an explosive live session with Montreal funk phenom Fredy V.
DJs & GUESTS DJ Static, Professor Groove, Fredy V, Melissa Pacifico / RECORDED October 27, 2017 / HOSTING daduke, PJ, Mike & Oliver. You can help too!